Warranty Direct has expanded further the eclectic range of cars it covers by teaming up with a new company importing genuine ex-US police force cars into the UK. 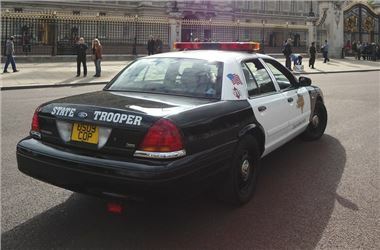 USA Cop Cars Ltd has started bringing used 2008 Ford Crown Victoria law enforcement vehicles into Britain, complete with a raft of US police equipment including spotlights, microphones and detailed recreations of state police liveries. The LPG-fuelled cars, powered by 4.6-litre Mustang engines and featuring suspension borrowed from Ford’s F150 pick-ups, will be sold in the UK for around £23,000. 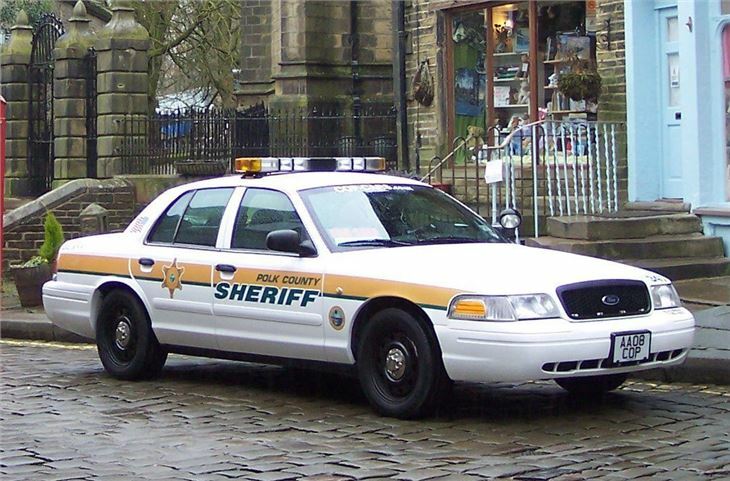 With at least 150,000 miles of US police duty completed by each car before being retired from service, Warranty Direct will offer anyone buying these rare vehicles much-needed peace of mind with bespoke warranty cover starting at £47.50 a month. 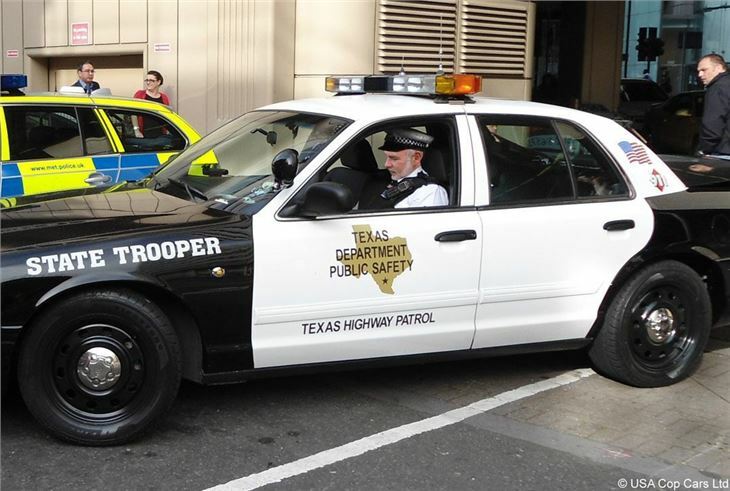 Mr Groves, a former shipping business owner, set up USA Cop Cars Ltd after spotting a niche in the market and has done extensive research into the legal requirements for the cars to be on the road in the UK. Each of the Company’s imports undergo rigourous testing, with VOSA testing 54 different areas of the car to prove roadworthiness. Mr Groves has also done exhaustive research with British police forces to make sure that the US police liveries do not infringe any emergency vehicle laws. For instance, the word ‘police’ cannot be used on any vehicle in the UK other than genuine enforcement vehicles, while the term ‘sheriff’ cannot be used in Scotland, as the rank is still used by Scottish police. Similarly, reflective blue or red paint is forbidden but different US state trooper markings can be re-applied as faithfully to the original as possible. The cars also come with original police manuals and Ford delivery labelling. “You don’t need to be a fan of Americana to own one,” explained Groves. “It’s very safe, it’s the only car in America that can withstand a rear impact at more than 70mph and parts will be readily available should you need to replace anything. Running on LPG fuel, the cars can be taxed for around £200 and insured for approximately £500. 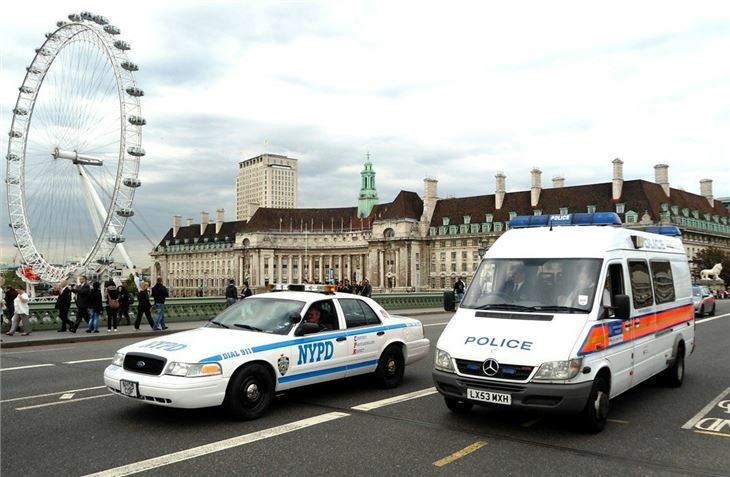 USA Cop Cars has only a handful of cars in the UK at present, but is ramping up its operation now that the legal requirements have been confirmed. Mr Groves is hoping to expand his range of imports to include the Chevrolet Tahoe SUV and Dodge Charger in coming months. For more information, visit www.usa-cop-cars.com. For more information on warranty cover, visit www.warrantydirect.co.uk.